At a very early age, Nicholas Chandler took the adventures of Louis L'Amour to heart, down a path that led him at 16 onto a freight train heading for Chicago. "You were brave," I said. "Yeah, sometimes it's just a mistake, " he laughs. DIY projects take on a decidedly feminine cast when Amanda Bachelder (aka "Girl in Pink") takes out her paint brush and drop cloth. 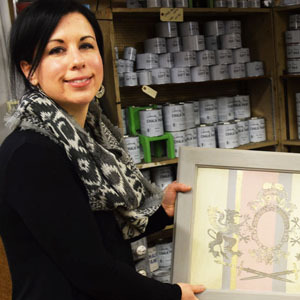 Amanda scours thrift stores, estate sales and The ReStore to bring home used furniture, cabinet doors, and old doors then transforms them into functional pieces with Old World charm. "I like to call my style romantic vintage," Amanda said. "I love the feminine. I love a little bit of glamour with some golds and metallics and florals." Bundled in with homework tablets and yellow pencils, Ellsworth Elementary students are taking food home to their families. 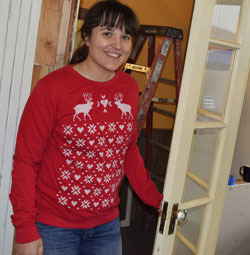 Storing those packages of food could have been a problem-were it not for a Hallmark Resorts donation and the coordinated efforts of two Habitat for Humanity ReStores. In just a few days, Pau Lal and Rem Kim, along with 11 other Habitat families will become proud homeowners at Glisan Gardens. 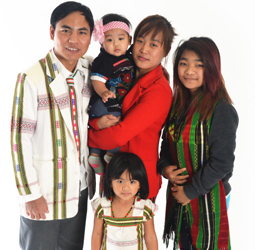 The Lal/Kim family came to Portland looking for a better life after living in a Malaysian refugee camp. As Habitat homeowners their family will now have the opportunity to thrive in a stable, safe environment. 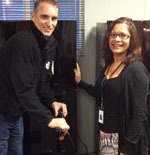 The ReStore and Gist Brands cosponsored the Lal/Kim home. We wish them a joyous holiday season as they celebrate new beginnings and a brighter future. 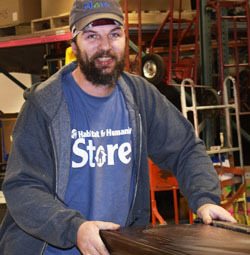 Our intrepid leader-and VP of Retail Operations-Joe Connell has announced plans to open a fourth ReStore in the coming year. Joe has his eye on the southern Washington County corridor - but if you have a nicely positioned property with optimum storefront exposure that you'd like to sign over to us, we'd gladly open a store anywhere! Hot wheels! 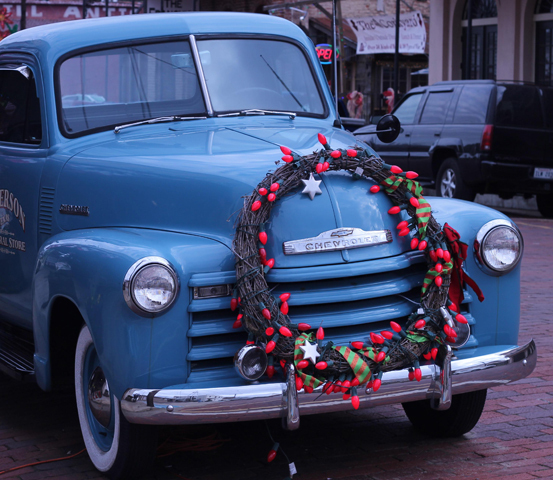 Wrapped just in time for the holidays, ReStore trucks are bustling down all roads great and small in the Portland, Beaverton and Vancouver metro areas, picking up donations and delivering salvaged material to our stores from deconstruction sites. We want to drive home the idea that you'll discover something new (and used) every day at The ReStore home improvement outlets. Whew! With family coming, the gifts, the tree and the two new dogs you may be running out of space! 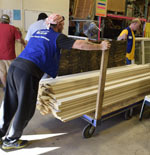 ​It's a great time to dispose of your superfluous furniture, home goods and building materials by donating them to The ReStore. Our sales support Habitat home building projects right here. We will gladly pick up large resaleable items. 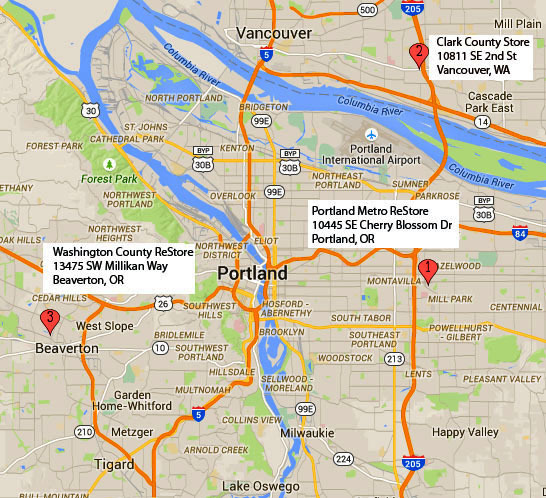 Get the details and schedule a pickup online. Have even more questions? Call our Donation Hotline: 971-229-8888. Want to save even more money? 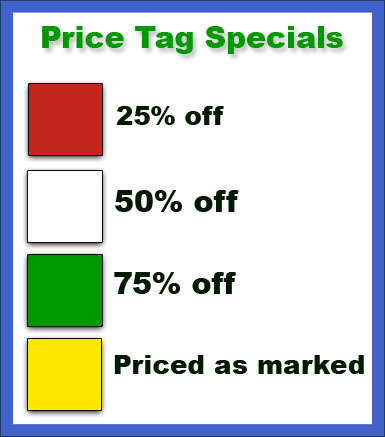 Look for color-coded label discounts in all stores. Price tags reflect the discount. All stores open 9 a.m. - 5 p.m. Monday - Saturday | Donations accepted until 4:30 p.m.